New Zealand and the United States want to make the Ross Sea the world's biggest marine reserve and Australia have backed the plan. The reserve would cover 1.6 million square kilometres of ocean and protect another 1.9 million square kilometres of coastline. 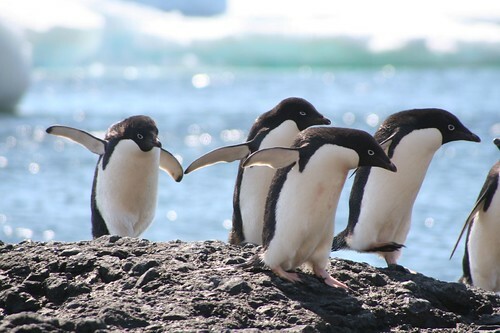 The proposal for the two sanctuaries will be considered at a meeting of the Commission for the Conservation of Antarctic Marine Living Resources in Germany in July. The Ross Sea is home to an estimated 16,000 species. The plan was scuttled last November because of opposition from China and Russia. Foreign Minister Bob Carr says Australia will lend its support for the renewed push for a marine reserve. "I want to congratulate the US and New Zealand on their efforts to secure a marine protected area in the Ross Sea, one of the last great ocean wilderness areas on earth," he said. New Zealand's Ambassador to the United States Mike Moore says the move is an important step forward for enhancing scientific understanding of the Southern Ocean. "This is not a small thing," he said. "We are proud that this proposal is based on quality science, developed on the basis of research from around the world." US Secretary of State John Kerry says the world ignores the Ross Sea at its peril. "When it comes to the Ross Sea and Antarctica, we are not going to wait for a crisis before we take action," he said.Watch the film.